Cheap flights to Mexico: Mexico City or Cancun for €389! British Airways now offer really cheap flights from Germany to Mexico. 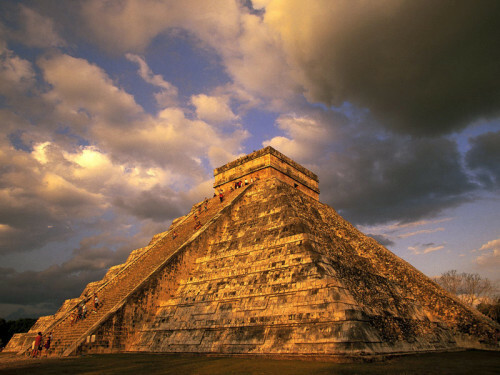 Return flights from Berlin, Hamburg or Dusseldorf to Mexico City or Cancun are available for only €389 / €401. You can also fly from Munich or Frankfurt for approx €430 which is still great price. These tickets are also combinable with arrival to Mexico City and departure back from Cancun instead of Mexico City, which is a very popular alternative with travelers. 23 kg check-in luggage is included in the price. Travel dates are from February to May and then from October to November, perfect for winter escape from cold Europe. Travel time is perfect, only 15 hours! Getting to German airports is easy from any major airport in Europe, use our search form on the right to find a connecting flight or you can also go with cheap Flixbus buses. BOOK NOW to get this amazing price! Change the departure or destination if needed.